Chimento Bamboo 18ct Rose Gold 0.01ct Diamond Ring, 1A05852B16. 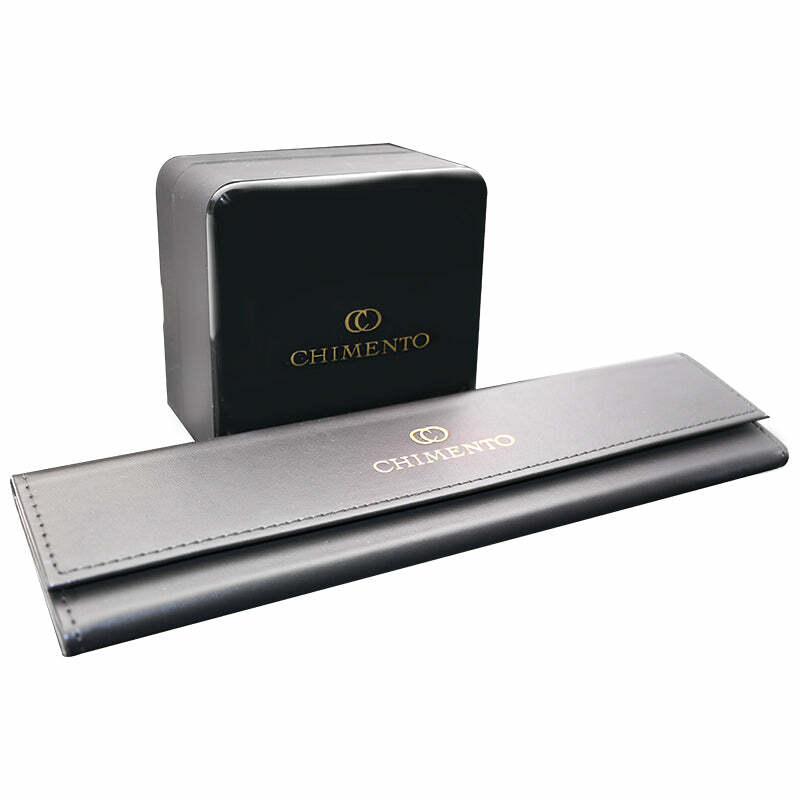 Founded in 1964 as one of Italy's premier goldsmiths, the family run Chimento is world renowned for its top quality Italian jewellery and its distinctive and exclusive creations using 18ct gold.Their collections feature the perfect blend of traditional and contemporary design, setting a new standard for luxury Italian jewellery. The Chimento Bamboo collection features a unique bamboo design running through all the pieces that is both feminine and intricate. The Chimento Bamboo 18ct rose gold ring is an elegant piece that features a combination of finely handcrafted 18ct rose gold bamboo style pieces, embellished with a 0.01ct brilliant cut diamond to add a luxurious sparkle. Designed perfectly for everyday wear, this diamond set piece would make the perfect dress ring.